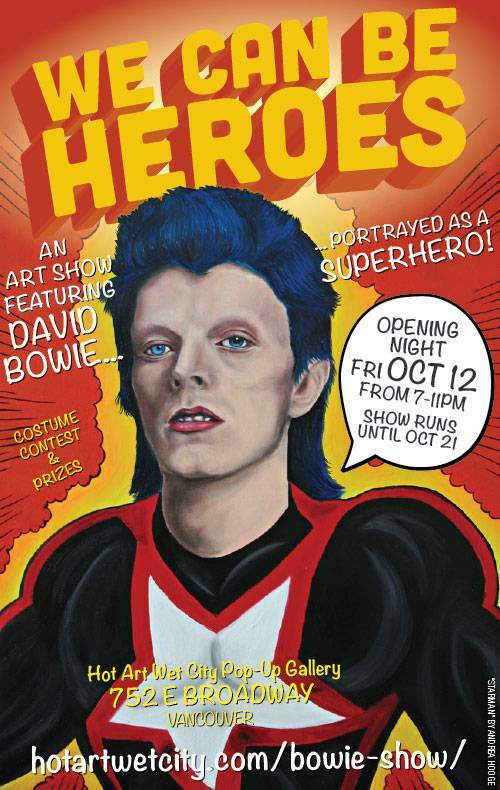 The founder of Vancouver’s newest pop-art gallery was reflecting on the amazingness of David Bowie earlier this year, on the artist’s 65th birthday, and had an idea how to celebrate the legendary musician, iconic weirdo and Goblin King. “I was thinking about the titles of his songs and some of his lyrics and movies; ‘The Supermen’, ‘Heroes’, falling from space, being from Mars – sounds like a superhero to me! So, I thought it would be fun to have a show where Bowie is depicted as a fictional or imaginary superhero,” said Chris Bentzen, the man behind HOT ART Wet City. Contributors showing off their own super-powered takes on Bowie include Andrea Hooge, Anton Van Steelandt, Ashleigh Kirkham, Chris Bentzen, Cliff Blank, Davin Spridgen, Emilia Almendrades, Erin Gibbs, Irene LacCharite, Jason Gauthier, Jennifer Kleinsteuber, Joseph Taormina, Kaya Reiss, Kirsty Senior, Krista Shaw, Lisa McAnulty, Lizzie Carr, Lorraine Kwan, and Matt Bowen. 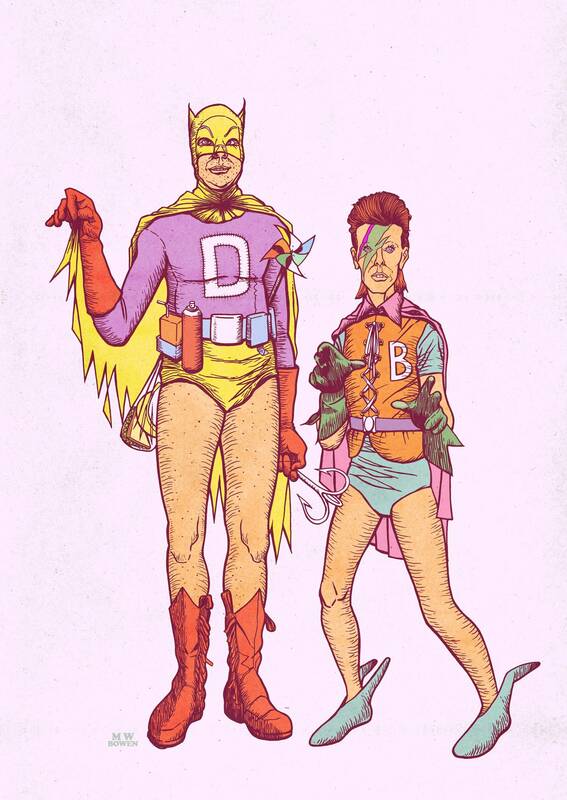 The first chance to peep the super-Bowies is tonight at the HOT ART Wet City Pop-Up Gallery. Regular viewing is weekends from noon-to-6pm until October 21. The gallery is located at 752 E Broadway. 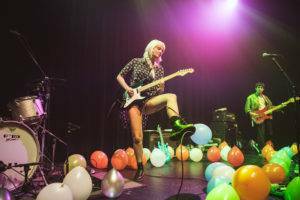 This entry was posted in art, events, Galleries, the latest, Vancouver. Bookmark the permalink.